Dr. Deborah Streeter is the Bruce F. Failing, Sr. Professor of Personal Enterprise and Small Business Management in the Charles H. Dyson School of Applied Economics and Management, which is part of the Cornell SC Johnson College of Business. Dr. Streeter’s teaching and research activities are focused on entrepreneurial marketing and strategy, digital innovation and women in leadership. 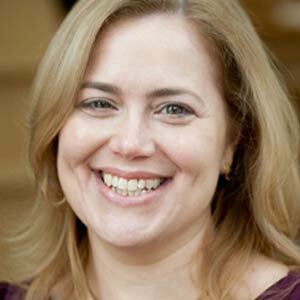 She is the Faculty Director for the Bank of America Institute for Women’s Entrepreneurship at Cornell. Dr. Streeter is also author of several Certificate Programs on Women in Leadership offered through eCornell. Dr. Streeter received the MERLOT Award for Exemplary Online Learning Resources in 2010, the Olympus Innovative Educator Award in 2007, and was named a Stephen H. Weiss Presidential Fellow in 2000, the highest teaching honor at Cornell University. Dr. Streeter holds an M.S. (1980) and Ph.D. (1984) in Agricultural Economics from the University of Wisconsin Madison. In 2008, Dr. Streeter founded Prendismo, LLC, a business that helps its clients accelerate innovation by capturing and sharing business insight and knowledge using digital media. The company also houses the Prendismo Collection, the world’s premier collection of more than 17,000 digital video assets on business, leadership and entrepreneurship. Dr. Streeter is Faculty Director for the Institute and is the author of two of the Institute’s courses: Creating your Own Venture and Communication, Negotiation and Persuasiveness. 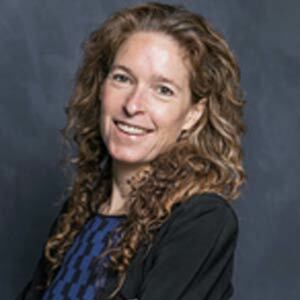 Professor Celia Bigoness is an Associate Clinical Professor of Law and founder of the Entrepreneurship Law Clinic, Cornell’s first transactional law clinic. In addition to teaching the Entrepreneurship Law Clinic, Professor Bigoness teaches Introduction to Transactional Lawyering and organizes the annual Cornell Law School Transactional Lawyering Competition. Professor Bigoness was the recipient of the 2018 Anne Lukingbeal Award, in honor of outstanding commitment to the women of Cornell Law School. Professor Bigoness received her J.D. from Yale Law School (2006), where she was editor-in-chief of the Yale Journal of International Law, and her A.B. from Harvard (1999). At the time of creating this course material, Dr. Susan S. Fleming was a Senior Lecturer at the Cornell School of Hotel Administration. Currently, she is an executive educator and frequent speaker on women in leadership and entrepreneurship, a corporate director, an active angel investor and a mom. Fleming began her career on Wall Street, where over a period of twelve years she held various positions in the investment community, including that of analyst at Morgan Stanley & Co.; vice president of Insurance Partners, L.P., a $540 million private equity fund; and partner at Capital Z Financial Services Partners, a $1.85B private equity fund. After retiring from Wall Street in 2003, Fleming began work as an educator, teaching executives, investment professionals, MBAs, and undergraduates in the areas of corporate finance, insurance, valuation, and gender bias. She also enrolled at Cornell University's Johnson Graduate School of Management to pursue a PhD in management, where her research focused on better understanding the factors contributing to a dearth of women in leadership positions in U.S. society. 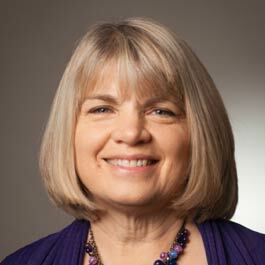 In addition to her work as an educator, researcher, and business consultant, Fleming helped to found a startup company in Ithaca, NY; has served on the board of directors of five publicly traded insurance and reinsurance companies, two private companies, and three non-profit organizations; and currently serves on the board of RLI Corp., a publicly traded specialty insurer serving diverse, niche property, casualty and surety markets, and Virtus Investment Partners, Inc., a publicly traded asset management firm. Fleming holds a BA from the University of Virginia, and an MS and PhD in management from Cornell University. 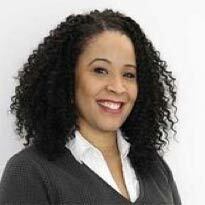 Dr. Tasha Lewis, is an Associate Professor in the Department of Fiber Science & Apparel Design and teaches in the area of fashion design management. Her research interests include the disruptive impact of technology in the apparel industry, the behavior of fashion brands, global and domestic apparel production ("glocalization") issues, and the significance of social responsibility and sustainability throughout the apparel supply chain. Dr. Lewis has also worked in the apparel industry in areas of production, sourcing, and retail operations and maintains ongoing contact with industry professionals to inform her research. She is a faculty fellow of Cornell’s Atkinson Center for a Sustainable Future and the Cornell Institute of Fashion and Fiber Innovation. Lewis received her B.A. and M.S. from The Ohio State University and her Ph.D from Cornell University. Professor Risa Mish is professor of practice of management at the Johnson Graduate School of Management. 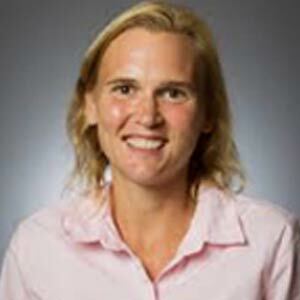 She designed and teaches the MBA Core course in Critical and Strategic Thinking, in addition to teaching courses in leadership and serving as faculty co-director of the Johnson Leadership Fellows program. She has been the recipient of the MBA Core Faculty Teaching Award, the Apple Award for Teaching Excellence, the "Best Teacher Award", selected by the graduating class of the Cornell-Tsinghua dual degree MBA/FMBA program offered by Johnson at Cornell and the PBC School of Finance at Tsinghua University, the Stephen Russell Distinguished Teaching Award and the Globe Award for Teaching Excellence. Professor Mish holds a B.S. (1985) from Cornell University and J.D. (1988) from Cornell University Law School.